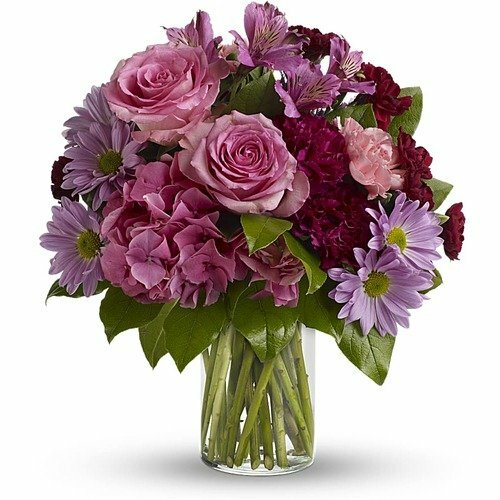 If you want to make a vivid impression, send flowers in glorious shades of pink, maroon and lavender stunningly arranged in a sparkling clear glass cylinder vase. So much beauty for such a beautifully reasonable price tag. * I used them for a flower delivery in Europe and all was first class. * Great service I live in Scotland and my girlfriend lives in U.S so the product is great quality at affordable price which makes it easier to show her how much she means to me.